If the season is coming without flowers, the leaves are the beautiful role instead. 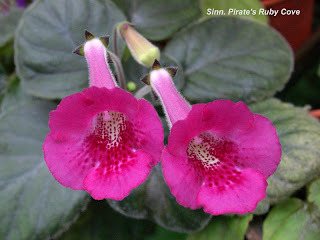 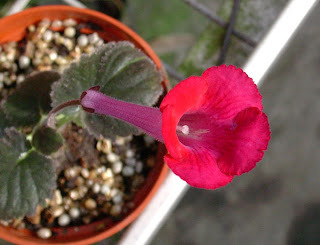 The way to get the true red color is one of my cross target, the interesting thing is that I did not straightly use the "Red" parentage as the shortcut, but have the purple crossed with rose color Sinningia then the red comes. 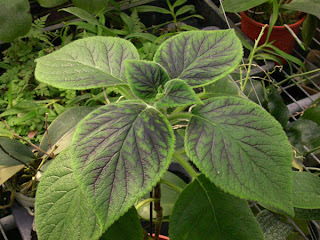 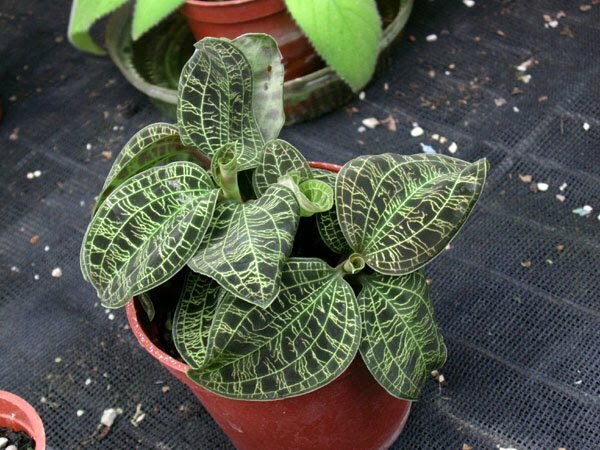 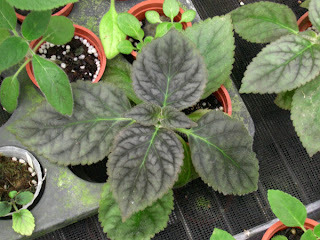 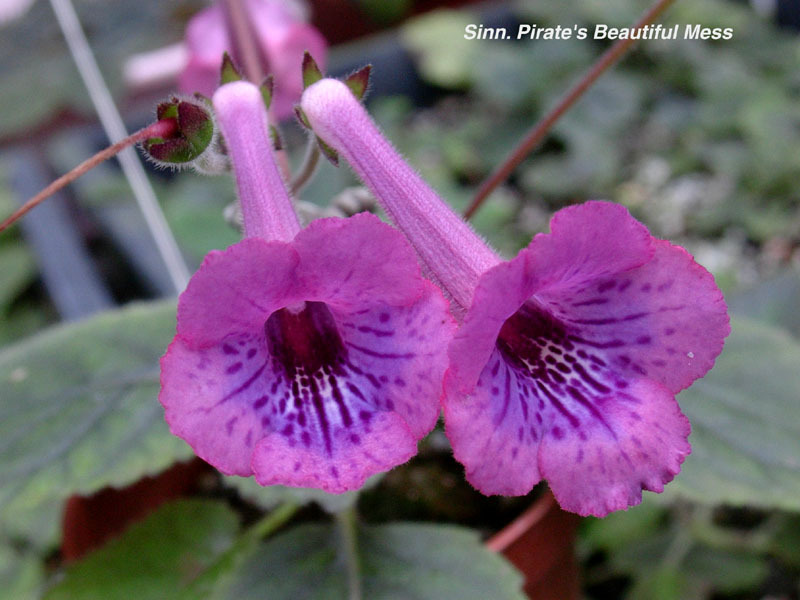 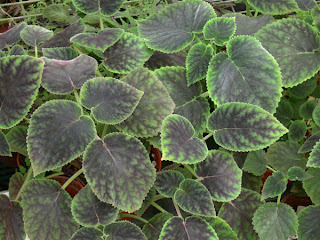 Glad to see the neat/flat foliage of the double Sinningia. 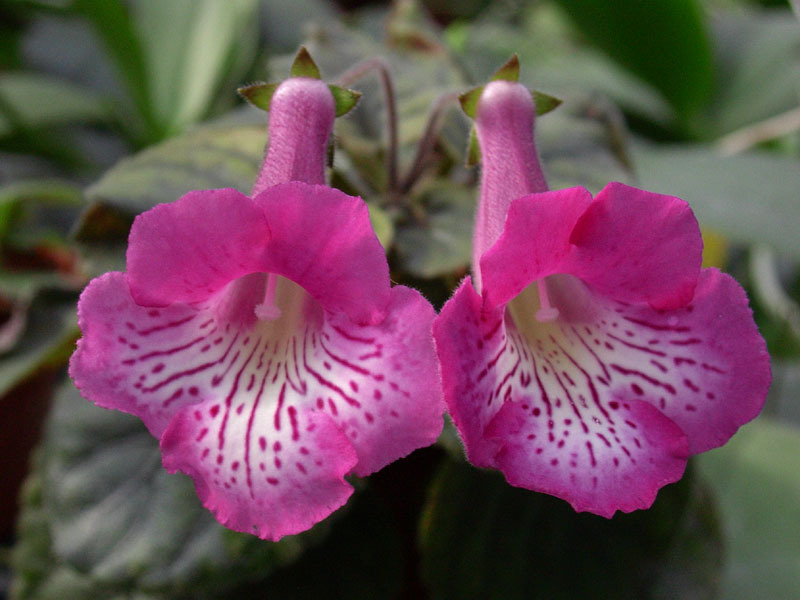 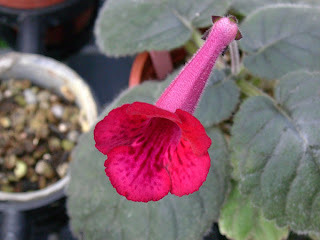 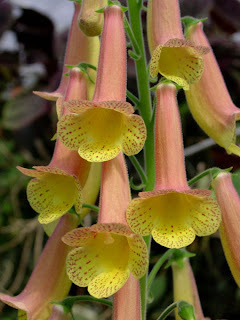 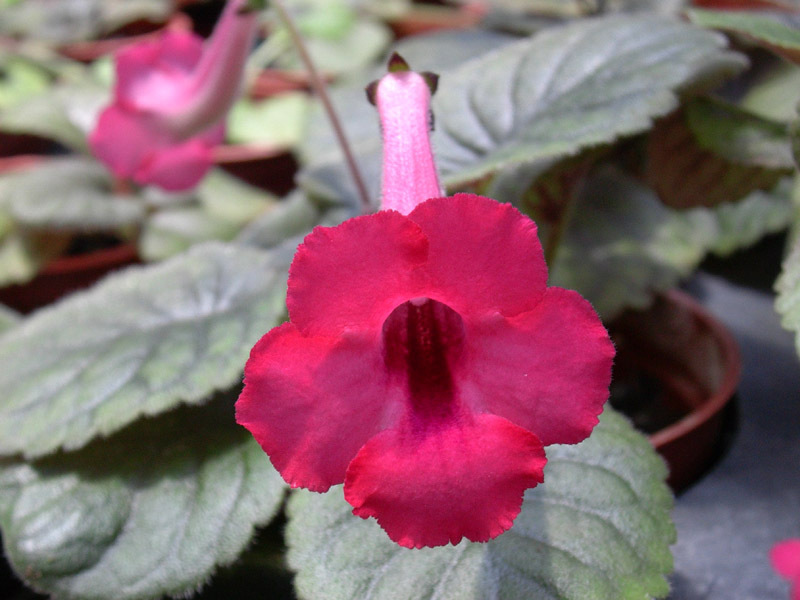 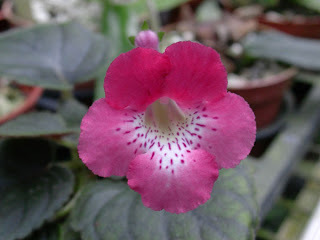 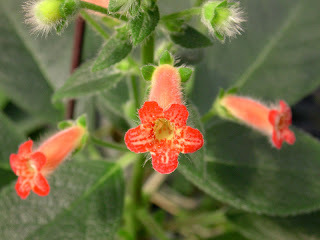 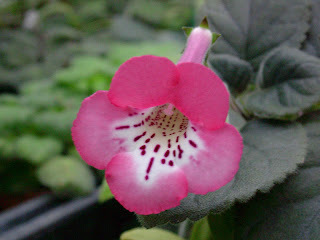 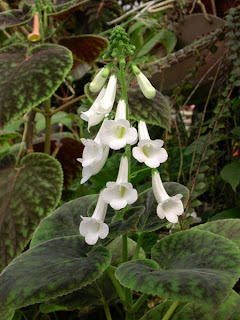 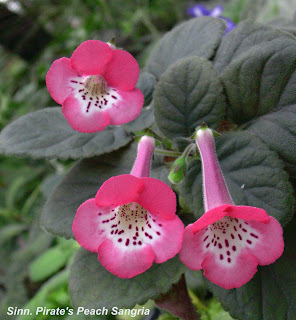 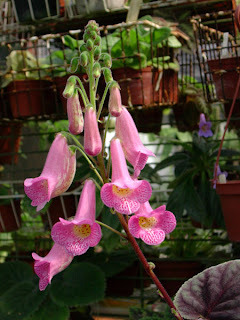 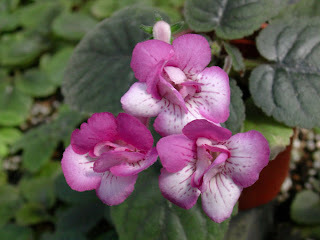 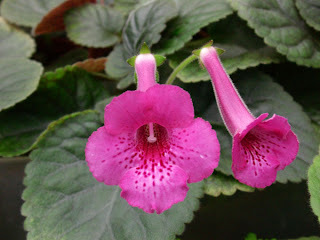 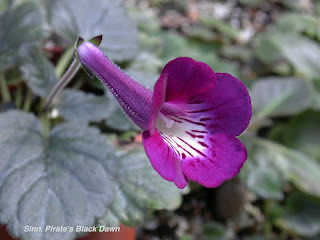 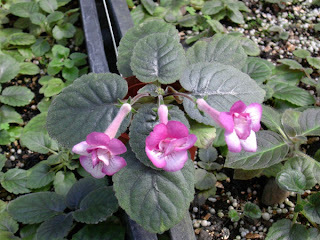 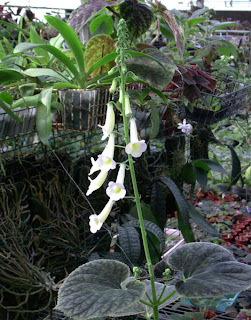 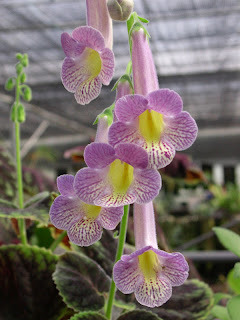 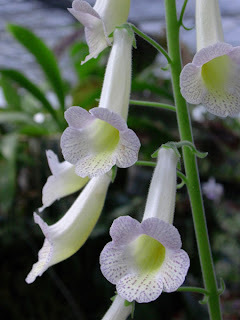 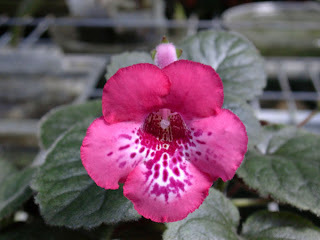 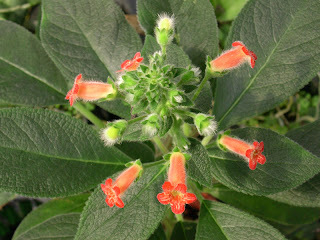 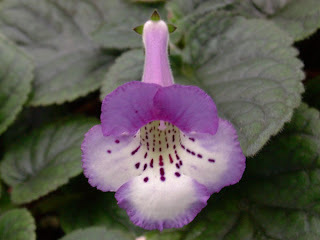 A Kohleria species, small flower. 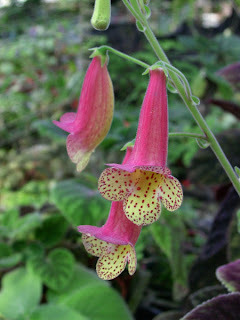 The bigger, the better !? 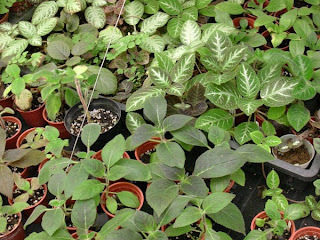 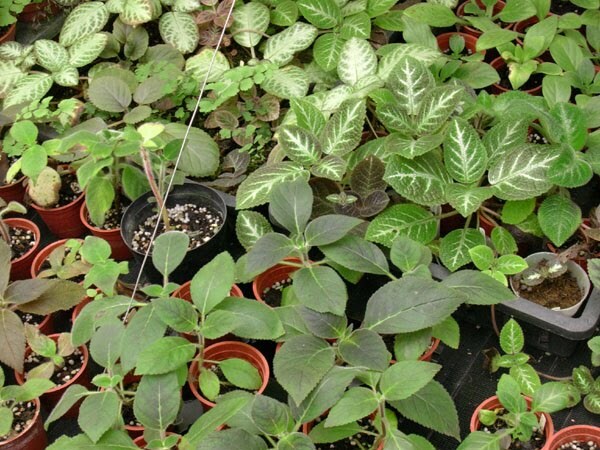 Look at these miniature Sinningias which are over 3cm in diameter, the size talks but just not sure if all these are floribunda as well.